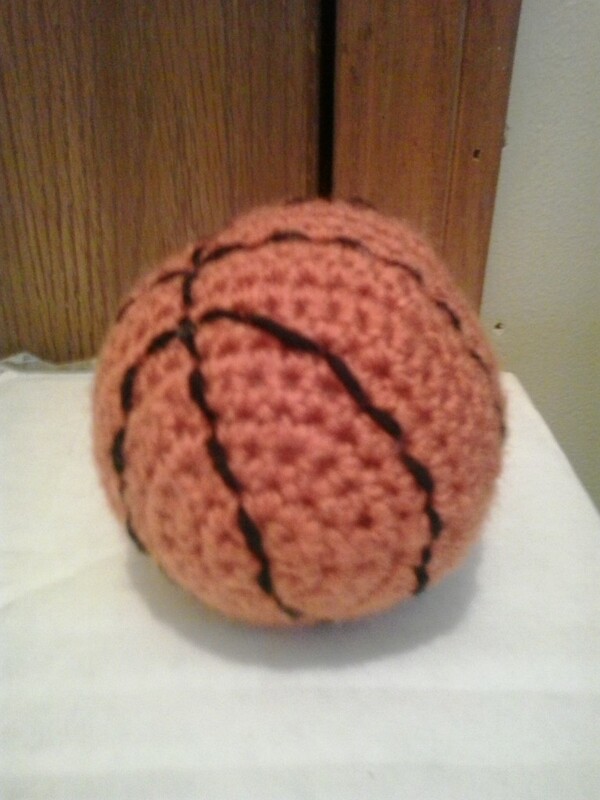 This is a very simple pattern for a basketball. The baseball picture was filled with polyester fiberfill. But, it can also be made by putting a tennis ball inside of it. IF YOU ARE STUFFING THE GREAT BALL, THIS WOULD BE WHEN YOU WILL BE ADDING TO THE STUFFING. CONTINUE STUFFING TO ACHIEVE DESIRED FIRMNESS. Finish off leaving a long tail. Weave tail through sc of Rd 20, pull tightly, and secure. Weave in ends. With black, embroider lines on BASKETBALL.